Suzanne has been a nurse for over 30 years, working in hands on care on the wards, as a senior sister, and then for 10 years in nurse education at King’s College London. Most recently she has fulfilled the role of Director of Nursing at Burrswood Christian Hospital, where she worked for almost 14 years. It was at Burrswood that her faith and clinical work had opportunity to weave together, out of which grew an interest and then passion for the healing ministry. 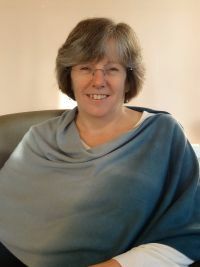 She first developed a connection to CCHC when she became a Trustee in 2014, and later joined the chaplaincy team in 2016, initially as Associate Chaplain. She grew up in a free church, in which she served as leader for many years, only leaving that church when she joined a local Anglican church in about 2010 where she is involved in preaching on a regular basis.